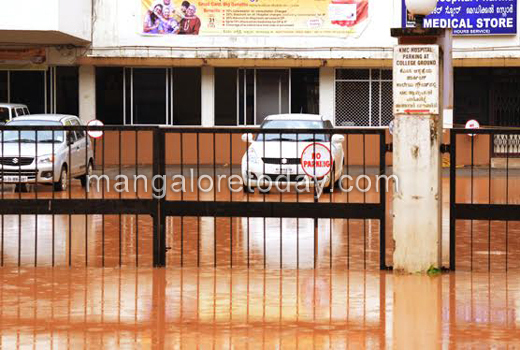 Mangaluru, June 15, 2015: The heavy rain that lashed in Mangaluru for four days crammed up the city more than usual, The parking space of KMC hospital in Attavar had been clogged due to blocked drainage. Though the KMC authorities pleaded the MCC officials, no response was received. The mayor Jacintha Alfred visited the spot on Monday June 15, and got the stagnant water cleared. 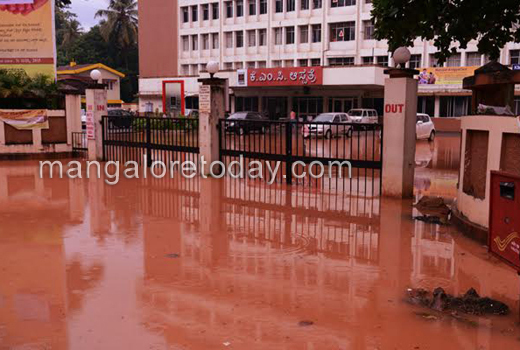 The rain water that flows from Nandigudda enters into the KMC parking area, as the drain near hospital has been blocked, the water could not flow further. And due to heavy rain, the hospital parking got clogged. 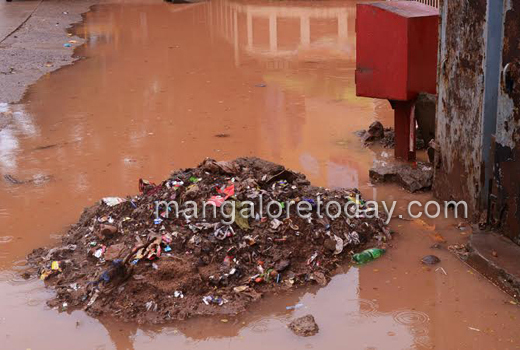 Though the KMC authorities pleaded the corporators – Shailaja of ward 55 and Diwakar of ward 46, both denied as they said the area doesn’t come under them. The hospital then contacted mayor Jacintha, she then informed the MCC engineers, and even they were unable to take any action. 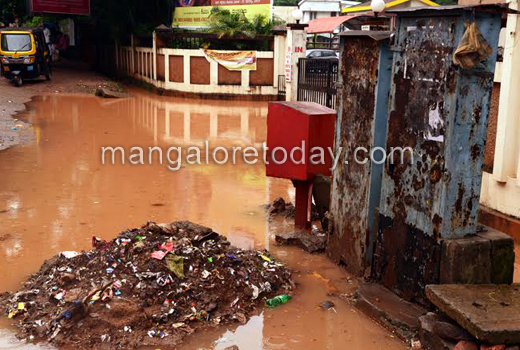 Hence, the mayor personally visited the spot, called the officials to the spot and got the water clogged cleared. Speaking to the media personals, KMC hospital head Raviraj said, "The heavy rain created big mess at the parking spot, though we contacted the local corporators they denied to take any action, today the mayor personally visited the spot and got the work done".